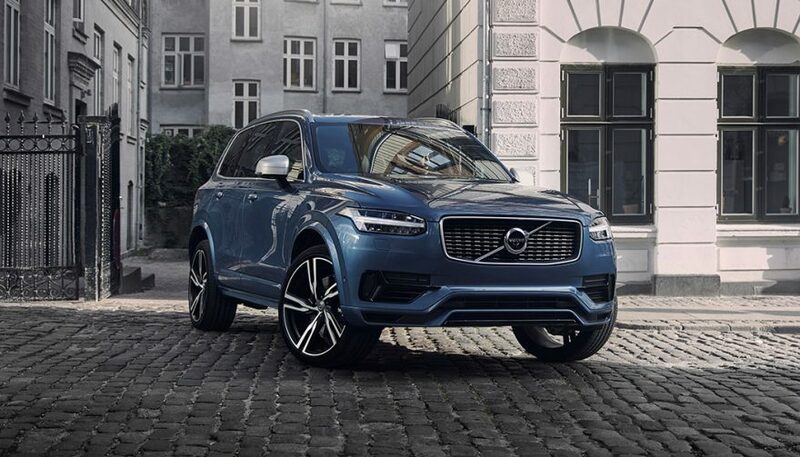 You can get the XC90 as a plug-in hybrid, so taking only short local trips means you might not need to burn a single drop of gas. 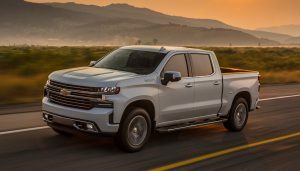 Whether you’re trying to live greener or just want to keep more green in your pocket, cutting down on visits to the fuel pump should be a priority. Hybrid SUVs promise to help you achieve that goal, without cramming into a tiny and not very utilitarian car. 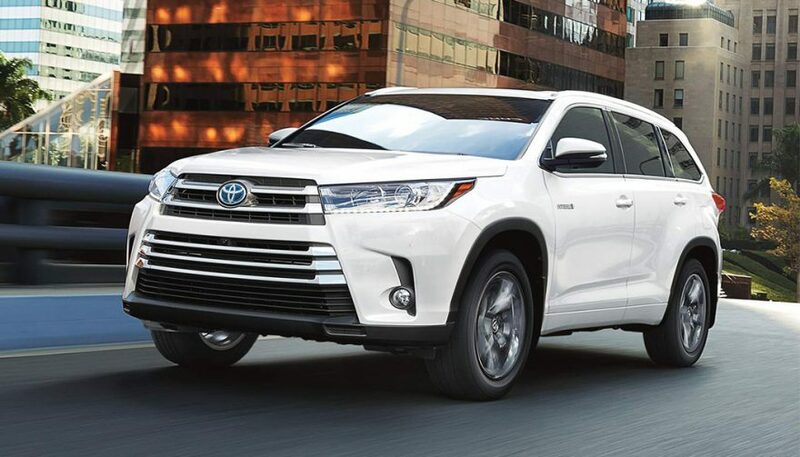 Choosing the best hybrid SUV presents some challenges, since not everyone has the same needs and preferences. By going with the most balanced option, the result should be something most people will find useful. We’ve put together a list of good hybrid SUVs, with the best one at the very end. You can get the XC90 as a plug-in hybrid, so taking only short local trips means you might not need to burn a single drop of gas. Using only electricity, you can go about 19 miles. The EPA says when driving on gasoline, the SUV gets an estimated 27 mpg combined. The 63 MPGe estimate is also pretty impressive. You also enjoy a wonderfully luxurious cabin. Just remember this option costs a cool $70,050 MSRP. 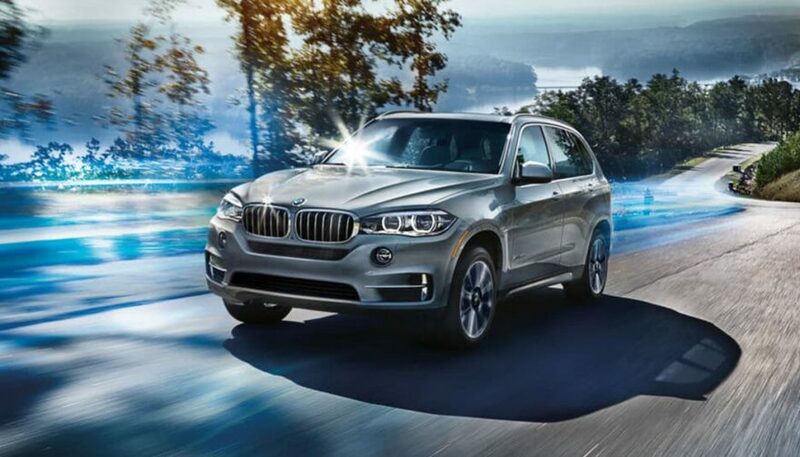 The BMW X5 xDrive40e iPerformance gets an estimated 56 MPGe, or a fairly good 24 mpg combined. In purely electric mode, the SUV will go about 14 miles, which is enough to run most errands without burning gas. Of course, BMW knows how to make an SUV that doesn’t feel or handle like an SUV, which makes this option that much more interesting. Of course, with a starting MSRP of $63,750, this can also be a financially interesting option. This three-row hybrid SUV doesn’t come with a plug-in powertrain, which is a shame. The EPA-estimated 28 mpg combined is pretty good for such a large and utilitarian vehicle. 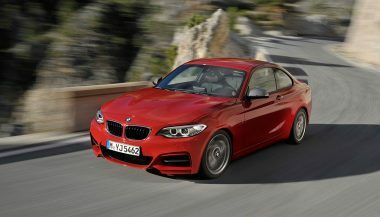 You also enjoy stellar reliability, a well-composed, quiet cabin, and smooth driving dynamics. What’s more, the starting MSRP is pretty reasonable at $36,870. 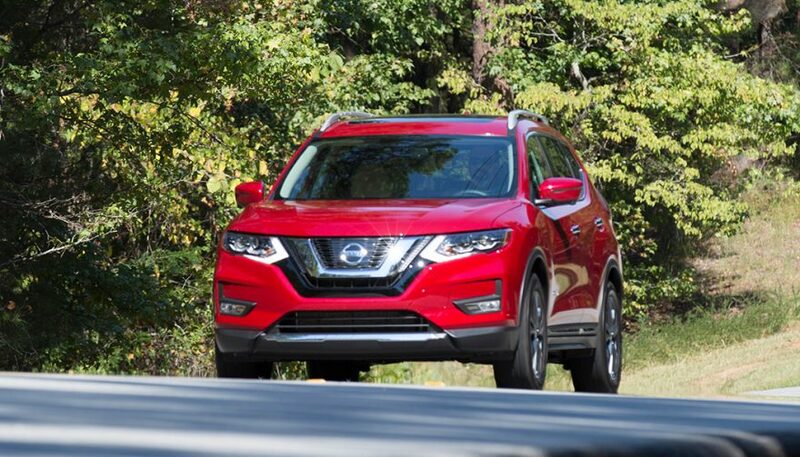 With the Nissan Rogue Hybrid, the EPA estimates it gets 31 mpg city, 34 mpg highway, and 33 mpg combined. That’s pretty good, considering the SUV comes with a third row, although it’s admittedly pretty cramped. Still, the $27,020 MSRP for the SV Hybrid trim is a pretty compelling deal. There are a few big drawbacks with the Rogue Hybrid. First off, the powertrain doesn’t exactly get this SUV moving in a hurry. You might not always be racing around, but getting up to freeway speed in reasonable time does matter. Add to that the huge blind spots and bad rearward visibility in general. Plus, the infotainment system is absolutely maddening to use. 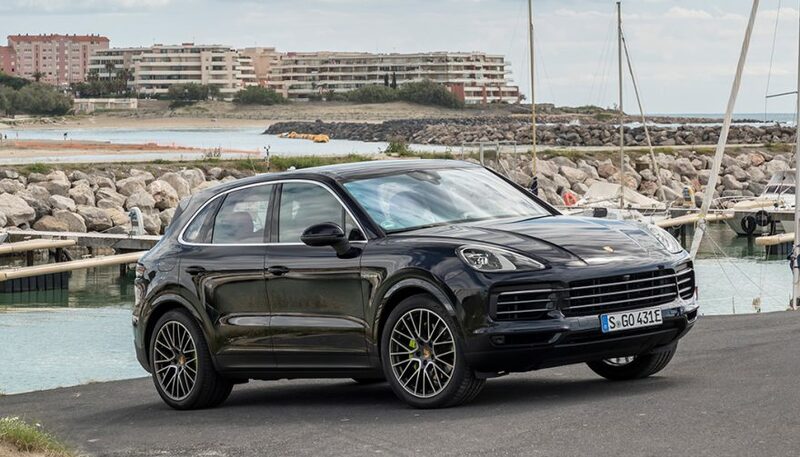 Some think by virtue of being a Porsche the Cayenne S e-Hybrid is a great option. While it does serve up some nice road dynamics, the EPA’s 47 MPGe and 22 mpg combined ratings don’t look great. Using only electricity, this SUV can go about 14 miles, which is okay. But, considering the starting MSRP is $79,900, it doesn’t have a great return on investment. Sure, you get the status and luxury of owning a Porsche, as well as explosive performance, but that’s about it. Most people don’t need to win the race to the grocery store with their hybrid SUV. 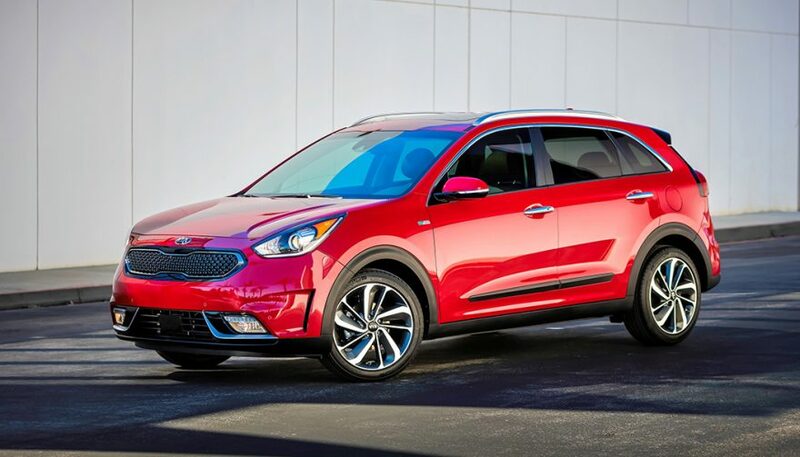 There’s no denying the amazing fuel efficiency of the Niro. 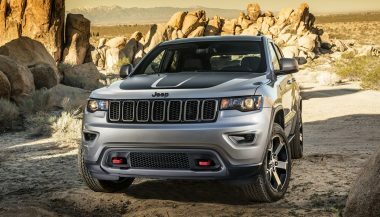 The EPA estimates it gets 49 mpg combined, which is amazing for an SUV. Keep in mind, too, that the starting MSRP is a mere $23,340. With several different trims, you can choose a fair amount of luxuries, although the top one pushes MSRP to a lofty $32,000. And don’t forget, this is a subcompact. That means it doesn’t have a lot of space. 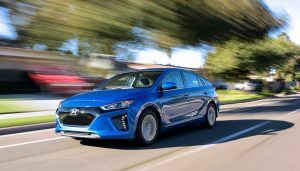 For example, the cargo area contains just shy of 20 cubic feet of space behind the rear seats, less than what you get with a Toyota Prius, which achieves an astounding 52 mpg combined. There can only be one top option on the list, and this is it. Most people underestimate the Mitsubishi Outland PHEV, but when you look at the numbers, they’re downright impressive. The EPA has given it a 74 MPGe combined rating, plus 25 mpg combined. You can go about 22 miles using just the electric motor. The starting MSRP is $34,595. Of course, this plug-in hybrid SUV seats five (not seven), unlike others on this list. Your passengers won’t feel like sardines in a can. There’s also about 30 cubic feet of cargo space with the second row up, and about 78 cubic feet with the rear seats folded down. It gets even better. Waiting for your SUV’s battery to charge up isn’t the most convenient thing. Mitsubishi helps by including fast charging on the Outlander PHEV, the only plug-in hybrid SUV on the market with this feature. In under half an hour you can use a public charging station to replenish up to 80 percent of the battery, instead of giving in and burning gas. The vehicle also works with Level 1 and Level 2 charging options, or 120 and 240-volt outlets, respectively. This plug-in hybrid SUV hugs the road, too. The Super All-Wheel-Control system (S-AWC) is an advanced version of all-wheel drive. The two electric motors supply instant torque to each axle, making this setup extremely responsive. You won’t mistake it for a sports car, but it will wow you. Is the Outlander PHEV a perfect vehicle? By no means. But, it provides a great all-around offering, balancing fuel efficiency, all-electric range, utility, comfort, and price. Of course, if you need something with seven seats, this option won’t work. But most people looking for the best hybrid SUV are interested in good, everyday utility, and not necessarily three rows. They also want something efficient that drives well on the road in traffic, which is exactly what Mitsubishi delivers. Think this is the wrong choice? Just take an Outlander PHEV for a test drive and you might be surprised. 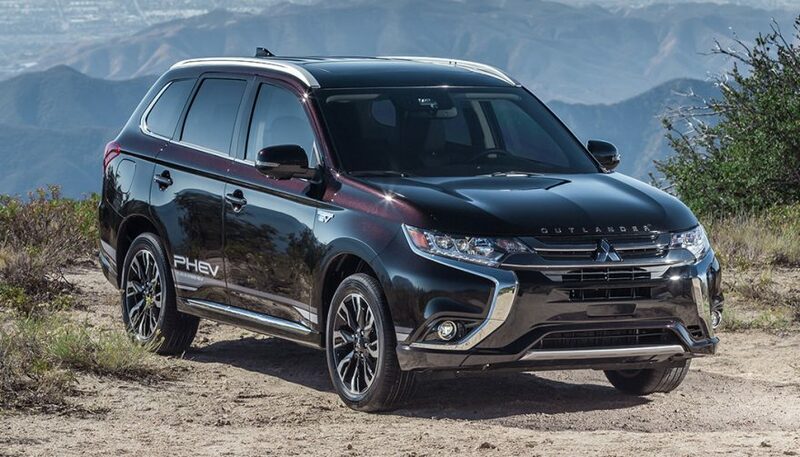 Mitsubishi has been working hard to revamp its image, with this vehicle being an important step in that direction. 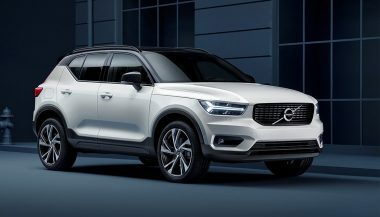 The all-new Volvo XC40 is the carmaker's smallest SUV. Along with an impressive list of features, there ares some interesting ownership options.